And now Prodir offers the ball point pen refill that is significantly less toxic than any (!) other one on the planet. “Over the last year the word toxic has been used in an array of contexts, both in its literal and more metaphorical senses”, reports the Oxford Dictionaries. Masculinity can be toxic, words can be toxic, substances can be toxic, and pollution can be toxic. Basically, there is too much toxic stuff around. 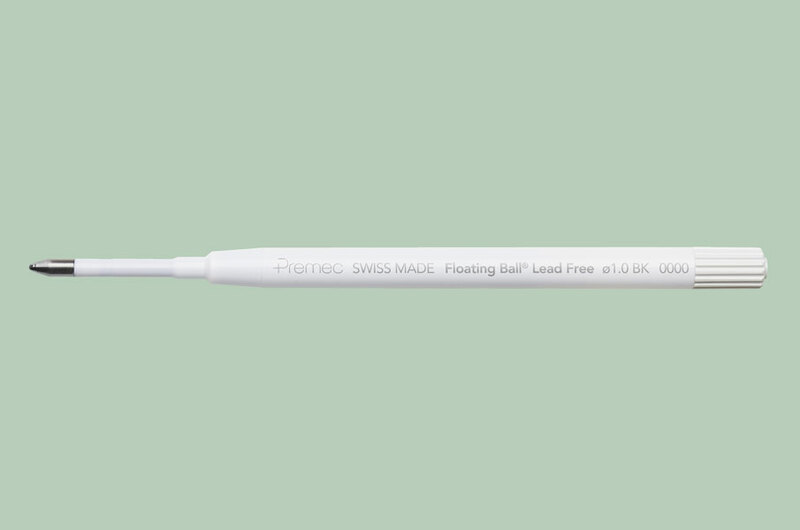 That’s why we are so proud to present the latest innovation from our R&D Department: Floating Ball® lead free is the only ball point refill that has a lead-free tip and ink that does not contain substances included in the REACH SVHC list (Substances of Very High Concern). Think about a pen as you would a car. Finally, there’s an “engine” that’s less harmful to people, to health and the environment than others – without compromising the performance. This is a real innovation, a rare one. Exclusively for our New DS Regeneration Pens.